Okay, so I'm off for a few days stuck in between jobs waiting for equipment to be moved. So I'll share the boredom with you guys. Going through the gun room a came across this rifle I bought a few years ago. To be honest I've not yet shot it but I do find it to be a bit of an oddity. The .30 Rem AR came to my attention via a visit to Dunham's, saw a box of ammo for something I've not seen before and opened a box to discover a short, fat .30 cal round. Went home, did the google thing, decided I liked it, went back to Dunham's and bought 500 rounds. Ordered the rifle from Bud's, seemed like an exceptional deal only to learn later that Bud's had bought the last of the stock and was blowing them out. It seems Remington threw this out there like they have with so many other chamberings and it wasn't an instant success so the pulled the carpet out from under it in short order. The chambering was marketed as being equal to a 308 within the AR-15 platform. 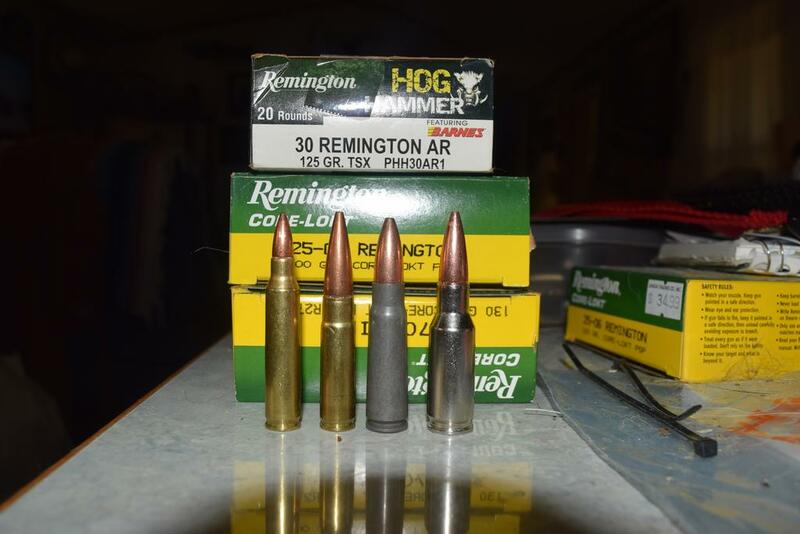 While it is true that it will smoke a 125 grain bullet as fast as a .308 will shoot a 150 grain bullet it is no .308. More like a .300 Savage which fall almost exactly between the .30-30 and .308. Giving it the potential to be a a great deer rifle out to 300 yards IMO. Here is one that flopped that probably should have made it. The rifle itself comes with a 22" barrel, real tree finish and real sling swivel mounts which is handy for my Harris bipod. 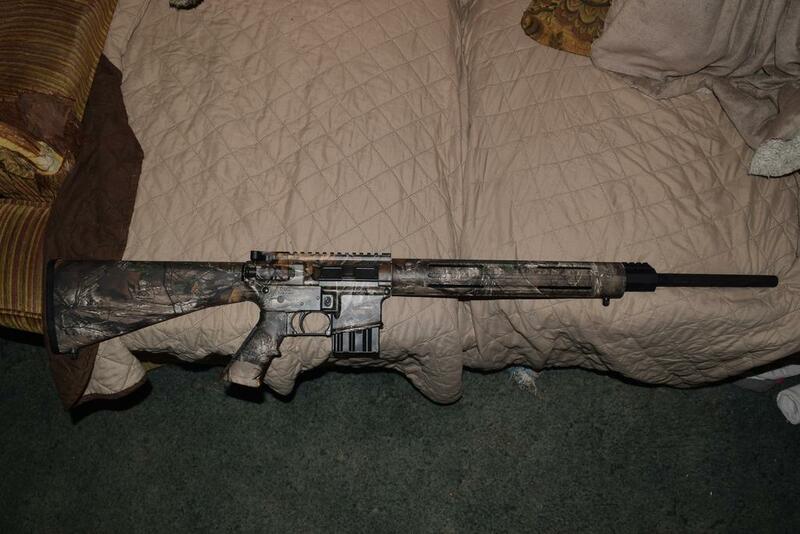 It also came with one 5 round magazine. I managed to get 3 additional magazines for but I doubt there are any more being made. I'll probably end up putting a Leupold VX2 3x9x40 on top of it. 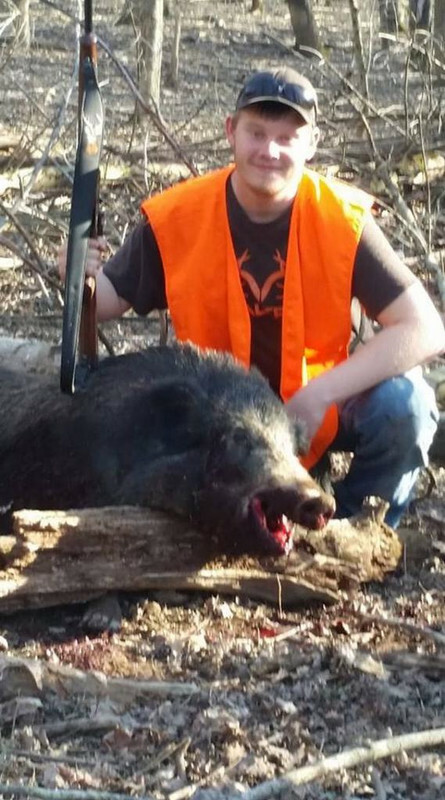 Hunting a deer or wild hog with an AR is on my bucket list. In my mind this set up is about perfect. Last edited by pennlineman; April 15th, 2018 at 11:51 PM. I finally got to put it to use. A few of us from work got together to do a pig hunt at a preserve. Not really a hunt but it was a good day. I used the 125 Grain TSX's. One shot held tight against the shoulder took out the top of the heart and both lungs and exited. The pig took a few steps and fell over. Estimated weight was around 300 LBS. The range was about 75 yards. I'm happy with this AR. Last edited by pennlineman; April 16th, 2018 at 09:09 AM. Nice hog. Can you make brass from something else? Not that I'm aware of, it has an odd rim diameter. I do have 13 pieces of brass plus 487 loaded factory ammo. This along with a set of dies should keep me going for the rest of my life since it won't be a range toy. I'm more worried about broken parts, it's mostly pure AR-15 but a few parts like the extractor are unique to this gun. 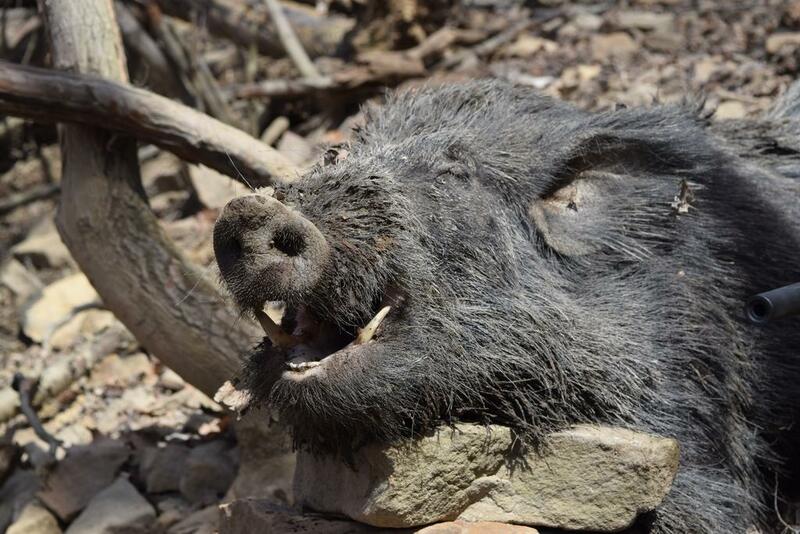 Nice pig, you get to keep the skull? 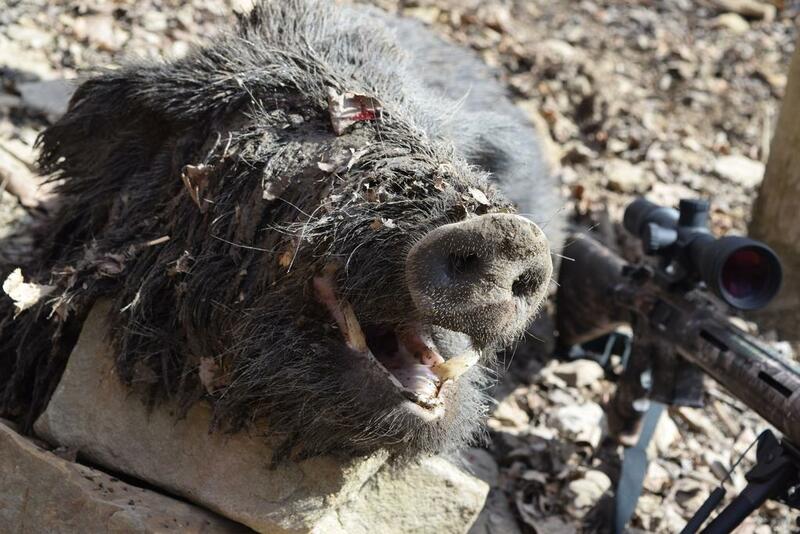 Has some nice cutters for a fence hunt pig. Yep, I'm going with a European mount for the skull. 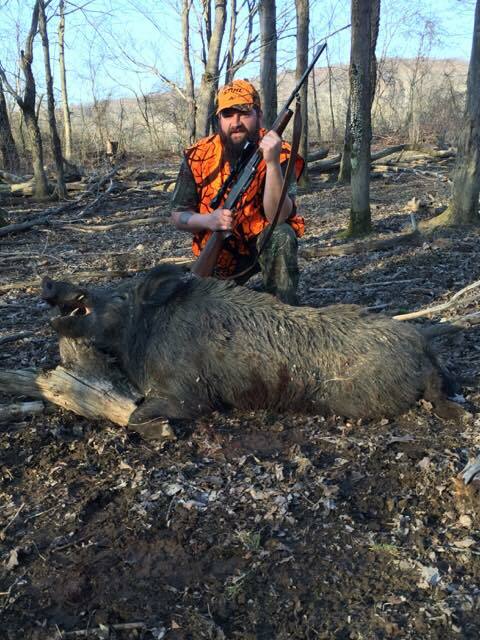 Pigs over 200 pounds were considered trophy pigs. It cost a little more but we figured this would be our only time doing this so we spent the extra money. 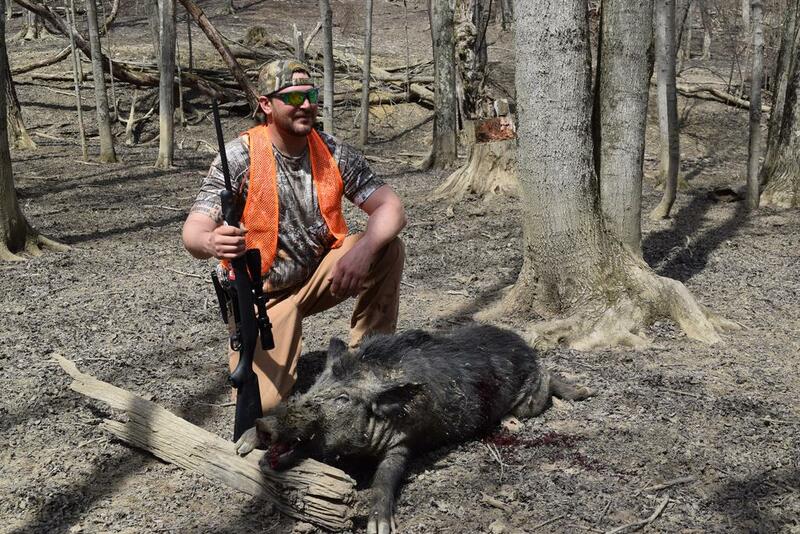 The guy said he had 5 trophy sized boars and we took 4 of them so this actually made it a little bit like hunting since we were particular about what we shot. My cutters were the second biggest, one of the guys shot one that had to go over 350 pounds but not much for teeth. 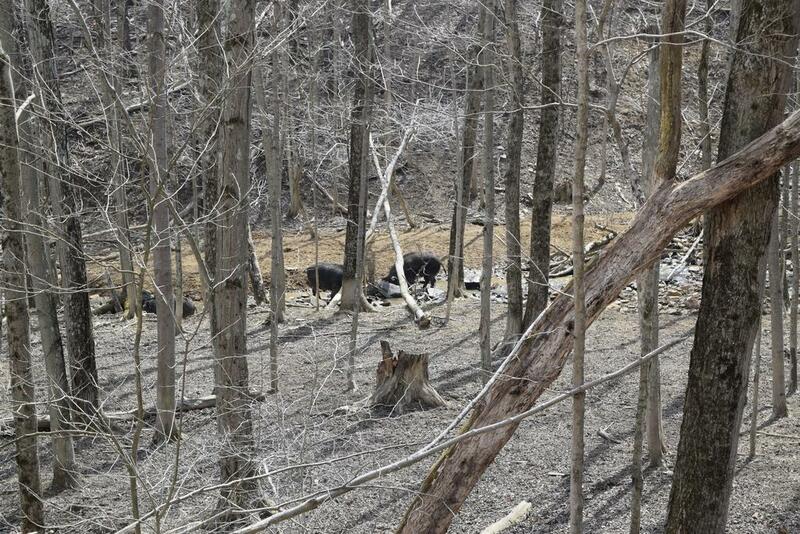 There were a lot of big sows. If you went there just on a basic hunt in would be insanely easy. 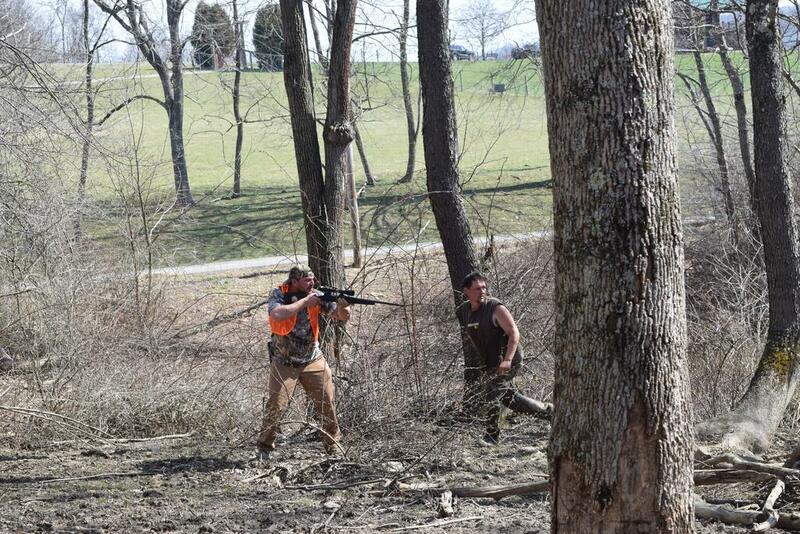 I'll never claim this to be a real hunt but it was a good day out with the guys. Lots of laughs and fun. Plus a good equipment test if I ever get down south for the real deal. This was the best pig IMO. And just a nice one. Perhaps a better pic of mine. Just a few more random pics of the day. Nice, glad you got to keep the skull. I went on a few myself, stalked with a bow. For the cost of the "hunt" it was worth it for the meat. 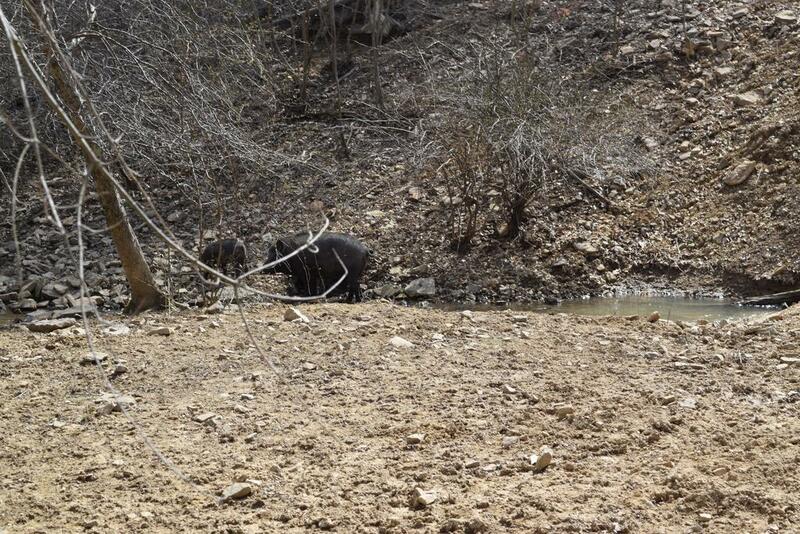 The 2 boars that were on site for our event hardly had any cutter. 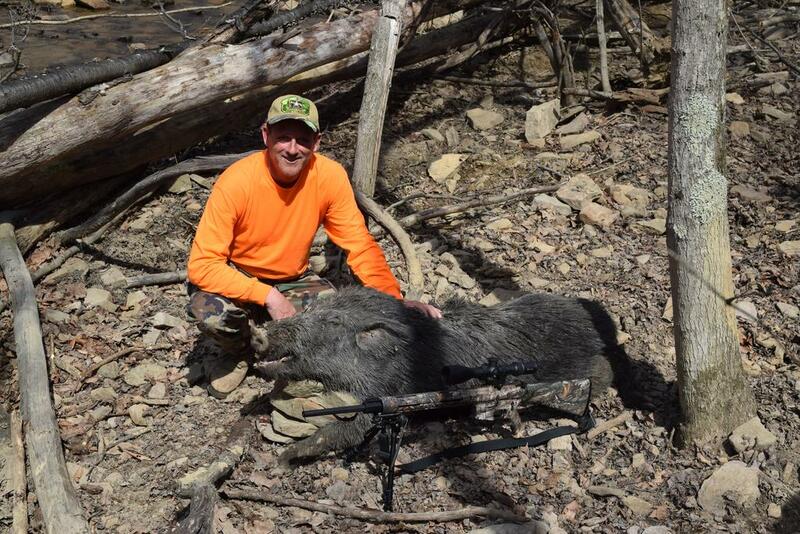 So i opted for a nice fat sow. Enjoy the meat. I made hot, sweet Italian, and some breakfast sausage with mine. Neat rifle ! Thanks for sharing. Looks like you had a good time. Is the Remington 870 Wingmaster worth the premium over the Remington 870 Express?